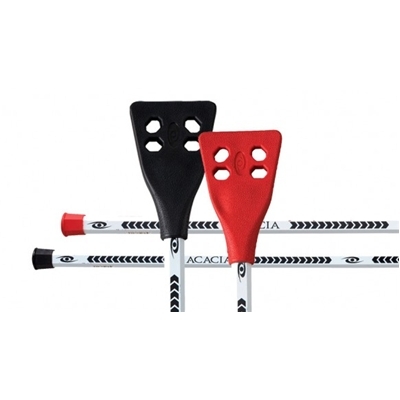 The Acacia® Deluxe Aluminum Broomball Stick is made with a lightweight oval ocatagonal AL5000 aluminum shaft and COBALT coated rubber head giving total ball control on the ice. 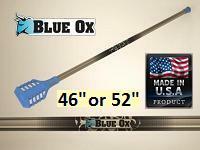 Most affordable aluminum shaft broomball stick on the market intended for standard recreational game play. Aluminum strength can vary greatly and is not intended for rough or competitive game play. When buying more than one, we have a 50/50 option for you to split up colors if preferred. 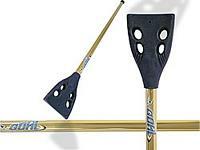 No guarantees or returns on broomball sticks. We recommend that you add a couple wraps of athletic cloth tape to secure the end cap further. 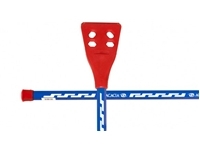 I played with this stick my first season, and this stick is perfect for someone who is just getting into broomball. 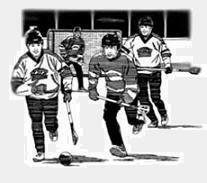 Ball control and handling are significantly improved over the standard wooden sticks available at the rink. 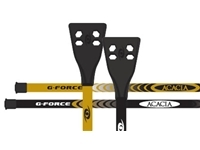 This is a great stick for a casual player who probably won't notice a significant difference between this and sticks that cost twice as much.